Medium: 586 X 879 pixels, 72 dpi. A landline telephone (also known as land line, land-line, main line, and fixed-line) refers to a phone which uses a solid medium telephone line such as a metal wire or fiber optic cable for transmission as distinguished from a mobile cellular line which uses radio waves for transmission. In 2003, the CIA reported approximately 1.263 billion main telephone lines worldwide. China had more than any other country at 350 million and the United States was second with 268 million. 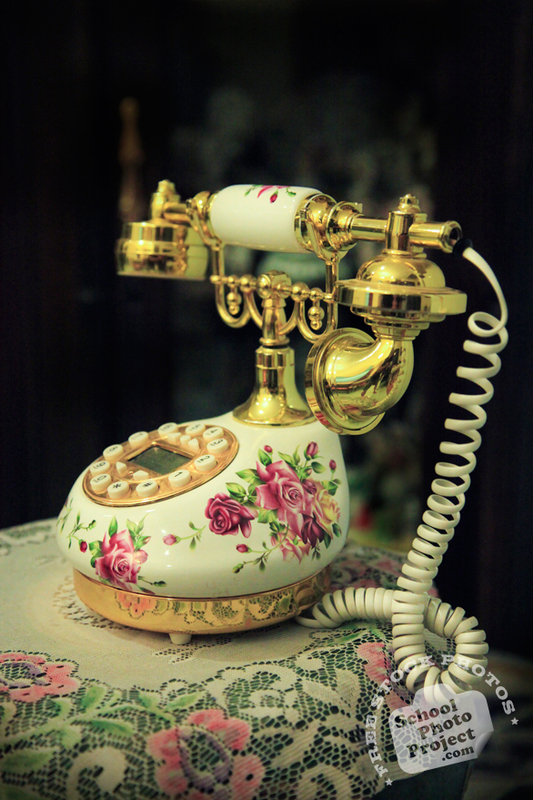 The United Kingdom has 23.7 million residential fixed landlines. In 2008, the world had 1.27 billion fixed line subscribers. A fixed phone line (a line that is not a mobile phone line) can be hard-wired or cordless. Fixed wireless refers to the operation of wireless devices or systems in fixed locations such as homes. Fixed wireless devices usually derive their electrical power from the utility mains electricity, unlike mobile wireless or portable wireless which tend to be battery-powered. Although mobile and portable systems can be used in fixed locations, efficiency and bandwidth are compromised compared with fixed systems. Mobile or portable, battery-powered wireless systems can serve as emergency backups for fixed systems in case of a power blackout or natural disaster.